String inverter manufacturer Fronius launches the new Fronius Symo Advanced, a three-phase string inverter with an integrated Power Line Communication (PLC) transmitter based on the SunSpec Rapid Shutdown communication standard. In conjunction with the Tigo TS4-F cover, solar installers get a simple and cost-effective solution for Module Level Shutdown. Jurisdictions with National Electrical Code (NEC) 2017 adoption require module level shutdown functionality in new solar systems starting January 1st of 2019. This requires all conductors within 1 foot of an array to be de-energized to 80V or less within 30 seconds of rapid shutdown initiation. This new requirement can potentially cause challenges and additional cost for solar installers, if the industry does not innovate. 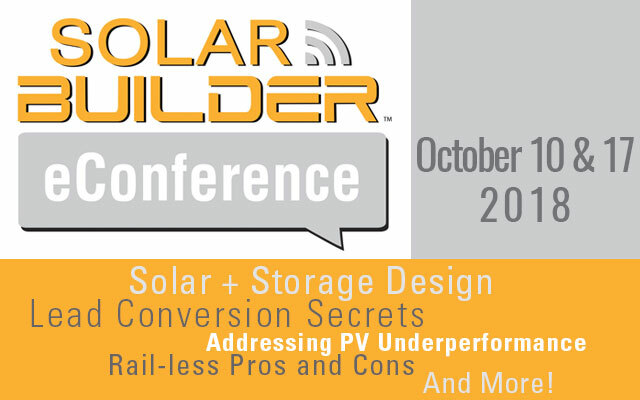 To provide solar installers with cost-effective, simple and innovative solutions, multiple members of the SunSpec Alliance defined an open industry standard for communication between modules, inverters and string combiners to support module level rapid shutdown requirements. This multi-vendor industry standard was published in September of 2017. Fronius has been a driving force in developing this industry standard and was among the first ones to announce a product based on the standard. “We not only believe that industry standards have economic advantages for distributors and installers, but that they also ensure better safety. Since solutions based on a standard are known throughout the entire supply chain, we can achieve more safety and reliability. This is beneficial for the entire industry”, says Adrian Noronho, CEO of Fronius USA. “Furthermore, open standards give customers more choice”. 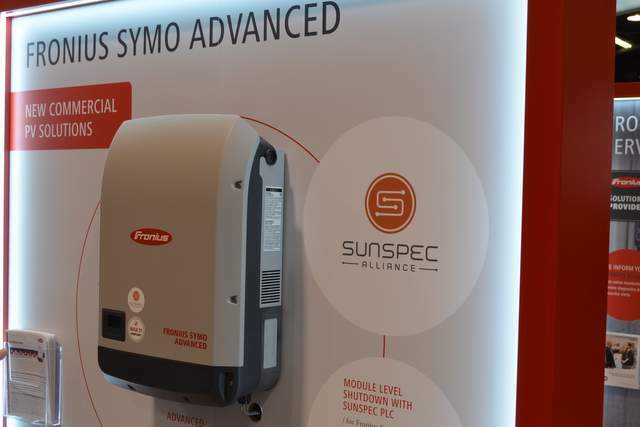 The new Fronius Symo Advanced three-phase inverter has an integrated Power Line Communication (PLC) transmitter based on the SunSpec Rapid Shutdown communication standard. This allows for plug & play connection with SunSpec based module electronics directly via the DC wires. In a first step the Tigo TS4-F cover is available. The solution eliminates the need for any additional communication hardware and provides the most cost-effective option for code compliance today. This new inverter combines the benefits of the Fronius Symo with the convenience of an open industry standard. Featuring ten models ranging from 10 kW to 24 kW, the Fronius Symo Advanced is the ideal compact three-phase inverter for commercial applications. The light weight design, the SnapINverter mounting system and true field-serviceability allow for easy installation and highest reliability over the lifetime of a system. In states with NEC 2014 requirements, the Symo Advanced can be mounted next to the array, eliminating the need for rapid shutdown boxes, since the inverter itself acts as rapid shutdown device. Thus, the Fronius Symo Advanced inverter provides a solution that adapts easily to the different requirements in different states – all with the same stock keeping unit (SKU). Fronius starts shipping the Fronius Symo Advanced in January 2019.